There's never been a more exciting time or better opportunities in the field of automation & robotics than now! Both hardware and software are becoming more sophisticated as well as more affordable for the hobbyist, student engineer, and industry professional. Whether you want to start learning the basic fundamentals as a hobbyist or the latest industrial advances as a professional we hope you'll find both valuable information and encouragement here. An automated machine can be considered robotic and a robot can be considered an automated machine. Therefore we'll treat the two as a single topic, with the main system categories being listed below. Please explore these, and visit our discussion forum or WorkbenchFun site if you have any questions, experiences, or projects that you'd like to share with others. This is the most essential part of any autonomous system. Its purpose is to emulate the function of the human brain as much as the system requires, and technology and specific resources allow. It can be as simple as relay or transistor logic, or as sophisticated as a supercomputer. The most common systems utilize either dedicated PLC (programmable logic controller) hardware with proprietary programming software, or commodity PC type hardware with some type of programmable SCADA software package. The latter generally offers more capability, and allows the system to combine with open technology standards and interface with other information systems. It also requires additional I/O (input/output) hardware, however, to receive sensory signals and send out controlling signals. Input / Output is the channel of communication through which the Supervisory Control sends and receives signals for sensory, motion, and other associated system devices. There are many choices for this. Earlier systems, and many still designed today, use dedicated signal cables in which a paired cable is connected between each device and the Controller. There has been a trend, however, in which system devices use "smart" technology to communicate over a common bus. On-board circuits convert the device signal to an addressed, digital signal that can be transmitted over this bus to and from the Controller using a communication protocol such as TCP/IP. The bus hardware can consist of Ethernet cabling, Fieldbus cabling, fiber optic cabling, or even wireless transmitters and receivers. There are benefits and drawbacks for each of these, and the environment, number of devices, distances, and communication bandwidth must all be taken into consideration. An automation system cannot operate effectively unless it's "aware" of its environment at some level. The limitations of our current technology do not allow anything like the awareness of human consciousness, however there are still many ways that a machine can sense its operating environment the way we sense ours. Devices ranging from simple on/off limit switches to sophisticated CCD camera "eyes" can feed adequate input into the supervisory control for the system to perform all of its tasks properly. Without motion a robot is just a statue, so motion control obviously plays a critical role. We don't have any super-materials yet that can apply force with the dexterity of living muscle tissue, but there are many effective ways to get the work done that we need. Servomotors, linear actuators, and pneumatic and hydraulic cylinders are the most common. The purpose of all machines and robots is to serve us. If that ever reverses then we will have screwed up pretty badly! :-) The way we give instructions and collect valuable data from our mechanical servants is through an HMI or human/machine interface. In the future this may be verbal communication - the same way we talk to each other - but speech recognition technology is still simple and too unreliable for important applications. For the most critical tasks, such as manufacturing or medical, it's still best to communicate instructions in an explicit way through a workstation keyboard or touch-screen display. This eliminates the need for complex interpretation and the room for error that comes with that. If you've got a PC you already have what you need to to get started learning about automation and robotics. Companies such as National Instruments, Microsoft, and AutomationDirect make free demonstration software available that you can download and start using right away to learn the programming and operation techniques of these systems. This is a great way to get the feel of doing the real thing! 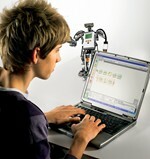 National Instruments LabVIEW Toolkit for LEGO® MINDSTORMS® NXT - Allows you to download and use the academic version of National Instruments' LabVIEW programming software package and ad-on toolkit to program the LEGO MINDSTORMS robot. Microsoft Robotics Studio - Allows you to download Microsoft's Robotics Studio development platform. This package is licensed for non-commercial use at no charge. AutomationDirect Free Software and Demonstrations - A listing of free and downloadable software to practice and learn Programmable Logic Controller (PLC) and Human Machine Interface (HMI) programming. 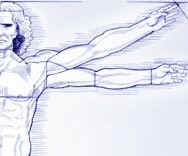 They also have an excellent selection of free online educational videos on different segments of industrial automation.